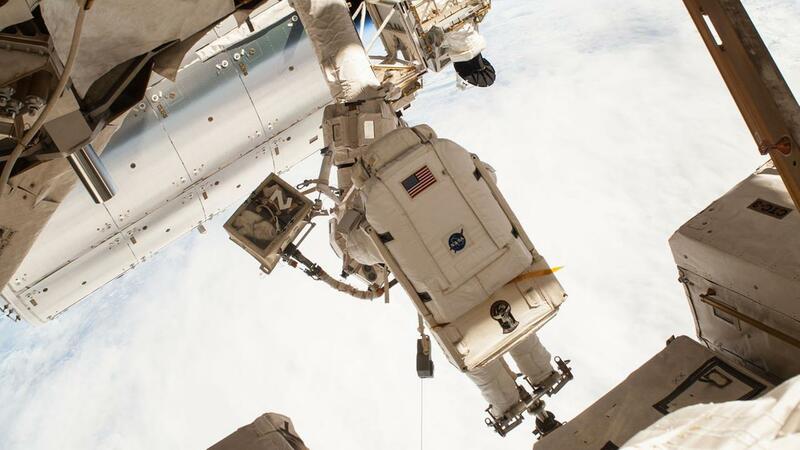 Two U.S. astronauts of NASA at the International Space Station completed a three-day cable job on Sunday; successfully routing hundreds of power and data lines for new crew capsule outside their station. It was only the third time that Americans, Terry Virts and Butch Wilmore had spacewalks since NASA’s famous shuttle days. Two sets of antennas were installed on Sunday as well as a 400 feet of cable that is to act as new communication system; these come on the heels of unreeling 364 feet of cable on February 21. It was a labor intensive job despite the astronauts having to wrap up everything for more than an hour early for a 5 ½ spacewalk. The advances were needed as spacecraft’s being developed by SpaceX and Boeing are expected to fly later in the year and with astronauts in 2017. The astronaut’s spacewalk was however marred by reports that a bit of water was reported on Virts Helmet for the second time in many spacewalks. He however reiterated it was not a big deal and that he did not need to hurry to his suit. Engineers concluded the water found in the helmet was as a result condensation that is a common phenomenon with the same spacesuit, reiterating Mr. Virts was never in any danger whatsoever. Mr. Wilmore suit however functioned perfectly during the first two spacewalks although a pressure sensor malfunctioned briefly before he floated out. He was later advised to pay close watch to how his suit felt throughout the seven-hour ordeal. Wilmore is to return to earth next week after a five and half month stay at the international space station; Virts, on the other hand, is midway through his mission. NASA was forced to pay a multi-million charge to have the two airlifted to the space station aboard Russian Soyuz spacecraft. NASA is looking to reduce its reliance on Russian space agency and save on future travel expenses by hiring Boeing and SpaceX to develop a spacecraft capable of transporting astronauts’ to the space station.